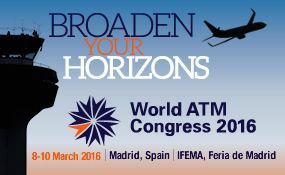 Campbell Scientific is exhibiting at the World ATM Congress 2016 at the IFEMA in Madrid, Spain March 8-10th. We will be taking along our new MetCom aviation weather monitoring software, our IRVR solution as well as hardware including the AVWM200 (fully integrated aviation monitoring system) and the CS135 ceilometer (Cloud base sensor). We can be found at stand number 1163B and we hope to see some of you there.